There are just 16 days left to enter the Woman Who…Achieves Awards 2018. The Awards are Free to Enter . Enter yourself or another women in business in one or more of the Award Categories. We even have a category open to men who are Change Champions for Women in Business. 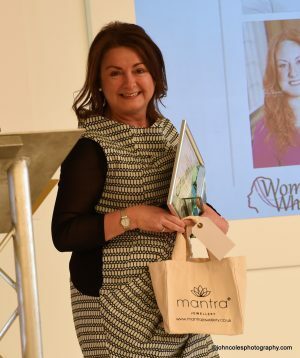 Entering the Woman Who…Awards is all about inspiring others and becoming a role model…many of those who entered our 2017 Awards have shared their business stories at one of our Networks. You have probably already achieved great things right now. You have secured that promotion, you have started a new business, you have won a contract, you have been trading for 5 years, you have hit a financial target etc. These are all great achievements. You may not have entered an Award previously and that’s okay too. We guide you through each step of the journey right from nomination to the Awards lunch, and beyond. It’s not just about one day in the calendar year. If you are unsure about what information to give us, just ask. Take a look at the Award Categories and the Guidelines for Entry and Enter Now!